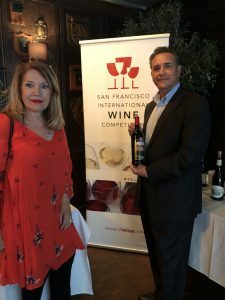 Last week, was the second leg of a 6 six-city tour for the “Double Gold” medal tour with the San Francisco International Wine & Spirits Competition. 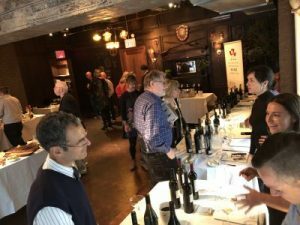 Last Tuesday, I went to Manhattan to Quality Italian Steakhouse on 57th street to the “Double Gold” Tasting event. I am excited to meet the media from New York. I love to share that we are the only winery here from Los Angeles County especially because we are the only winery that won two years in a row attending the tour. Last Tuesday it was so nice, it was raining off and on all day. I was so excited to wear a coat, since we have had such a hot summer. I am ready for fall and winter to arrive. The restaurant was in the “Billionaires Row” area of Manhattan, right near 5th Avenue. They had the tasting in a special room that reminded me of a big house in Bath, England that I had stayed in when I was kid. It had a room with a fireplace with many bookcases filled with books, rifles and other hunting style décor. 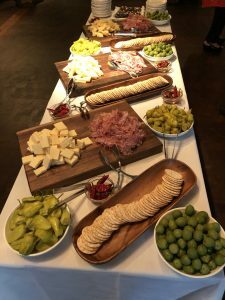 They had a beautiful charcuterie platter to accompany the award winning wine and spirits that were tasted. Robert and Rosa also attended this tasting, since Robert has family still in Manhattan including his mom which still lives in the same apartment where Robert grew up. They got to taste award winning wines from all over the world including a wine that was from Australia. Darren the sales rep that poured their wine had an interesting story about the winery, its vines and their tasting room. The name of the winery was a combination of the owners 4 children. Their vines were over 100 years old and they had a Riesling which is very uncommon to see in the United States that were 123 years old. Today, I am off to another tasting for the “Double Gold” medal tour with the San Francisco International Wine & Spirits Competition. This week it’s here in Los Angeles at Republique. It’s off of La Brea and Wilshire. I think I brought the rain with me from New York. 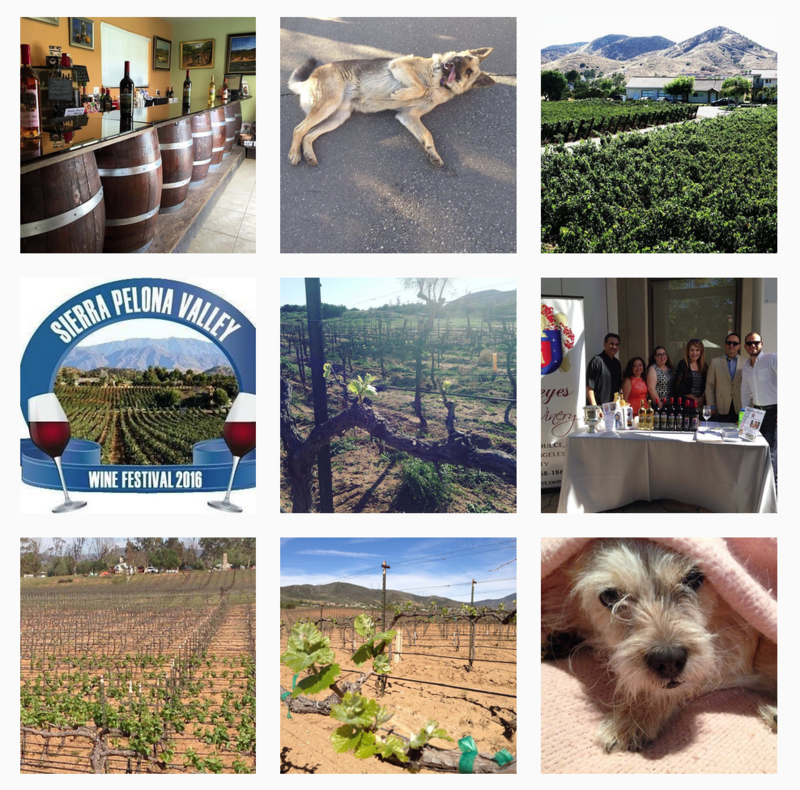 I can’t wait to meet people that are local to share educate them about our own city’s wine country. Then the wine goes to Portland and Chicago without me then in two weeks I will be off to Las Vegas to finish the tour. In the Reyes Winery Tasting room for the month of November, we will be featuring the 2012 Syrah as one of the wines on our tasting sheet. Our 2011 Syrah which also won a “Double Gold” medal in 2014 will also be available to purchase. It could be the “wine of the day” this month. Every month I rotate the wines so if you come by you will be able to experience all our wines over a period of time. Our 2011 Syrah recently received a rating from Wine Enthusiast Magazine of a 91 and “Editor’s Choice”. It has notes of blackberries, a touch of black pepper, a slight smokiness and great balance. Pairs with Lamb roast, sheep’s milk pecorino cheese with rosemary, Sage Derby, or vanilla bean and black peppercorn ice cream with a blackberry coulis. 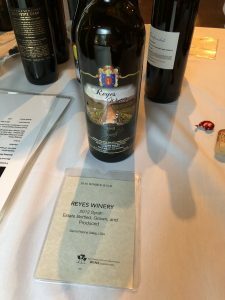 It has won in addition to the Double Gold Medal (97 points) from San Francisco International Wine Competition in 2017, a Gold Medal with (92 points) from the 2014 San Diego International Wine Competition. Plus 2 silvers from 2014 Los Angeles International Wine & Spirits Competition and 2014 Sunset International Wine Competition & 2 bronze medals from 2014 O.C. Fair and the 2014 Long Beach Grand Cru Wine Competition.